ICAMS, the Institute for Materials of the Ruhr-University and the Max-Planck Institute for Iron Research offer visitors of the Ideenpark 2012 the opportunity to learn more about modern materials design. Pupils can create their own shape-memory alloy devices from nickel-titanium wire. 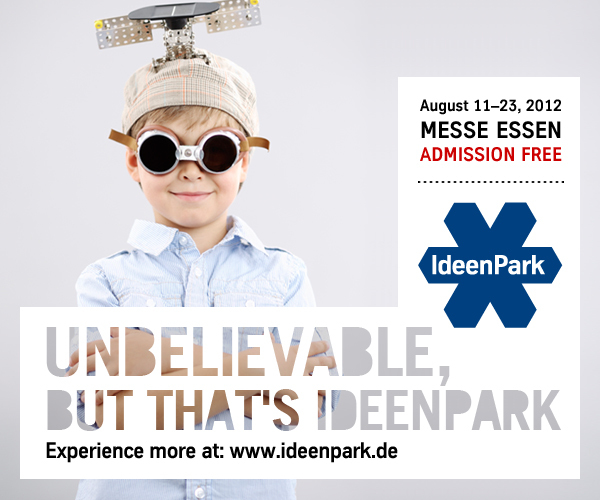 From August 11 to August 23 you can find us at the Ideenpark in Essen (see link below) in building 3. Admission is free. The 2012 Ideenpark is organized by ThyssenKrupp in Essen.